About 15,000 tonnes of food are wasted per day by Malaysians and 8,000 tonnes or 60% of it is avoidable food waste and of that, 3,000 tonnes are still edible (source: The Star Online). Also, as mentioned by Social Activist Tan Sri Lee Lam Thye in an article published, that food wastage has seemingly becoming a proud culture among Malaysians, especially during various festivals (source: New Straits Times). Before we waste any kind of food, let us think about those who are in dire need and living in Homes. Taking things for granted may be have become a common practice but many have kindred hearts for sharing. 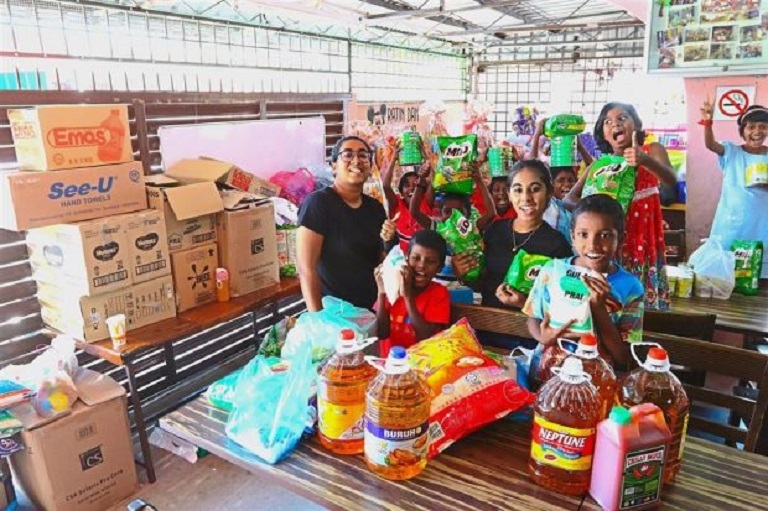 This food collection project, #Manamiranguvom is a unique initiative by Astro Uruthunai (Community Engagement) team to inspire everyone to become part of someone else’s lives. The collected items will be shared among the selected homes. Thus, let’s support to create awareness amongst our community on the food wastage and importance of contributing to others. During this month of festivity, you may contribute in-kind at the designated locations whereby our team along with local artists and volunteers will be present and ready to accept your kindness. Join us and let’s support! Wishing Everyone A Happy Deepavali!